Leafcutter ants are a common sight in the Brazilian cerrado. I admit to being apathetic when it comes to photographing them. In order for me to turn my lens on them, something unusual generally has to be happening. In this case, I first noticed something odd occurring around one of the nest entrances. Looking closer, I could see the ants were being attacked by a small fly. I had read about that, but had never seen it personally. Intrigued, I figured I’d spend a few minutes shooting, even though I fully expected to end up with nothing usable. 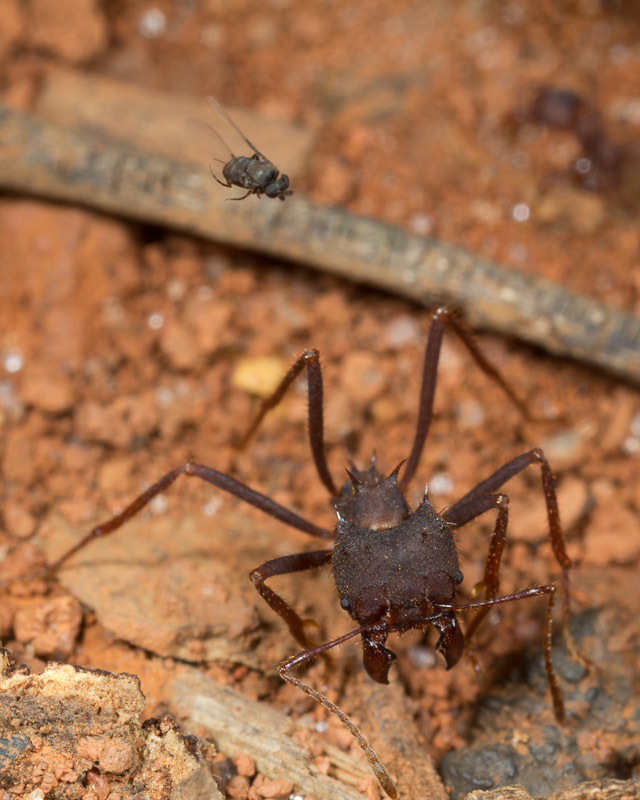 I was pleasantly surprised that one of the images managed to get both an ant and the fly in focus. The fly was almost constantly in motion, occasionally dive bombing an ant. 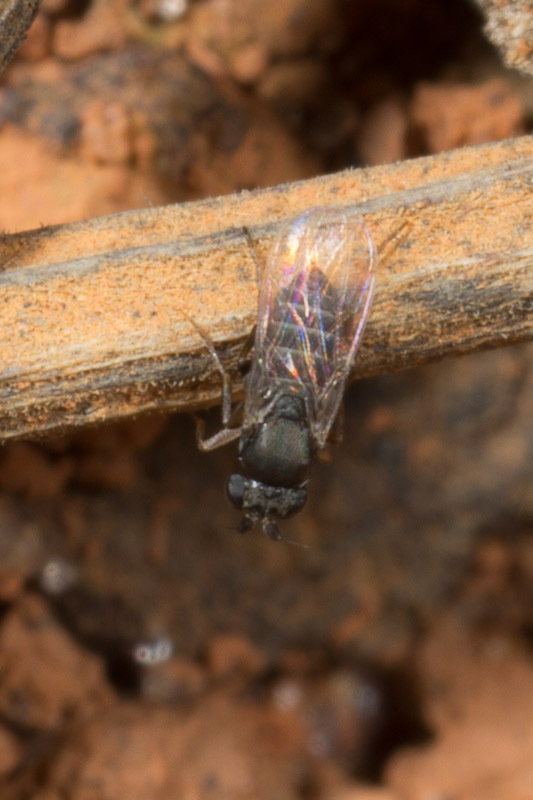 I assume this is a female fly in the family Phoridae. Look carefully above and you can see the fly’s ovipositor. At one point I saw a fly at rest near the nest entrance, possibly the same fly as above. I guess this would be an Apocephalus (ant-decapitating fly)?